‘Exclusive’ isn’t a word that best describes the Mk. I Ford Cortina after sales that crested one million. Nevertheless an early, immaculate, and very original example of the 1500 GT model that comes to sale at Historics at Brooklands major classic car auction near Weybridge on Saturday, August 20th is a wholly different matter, having travelled an average of just one mile a day since it left the Dagenham factory 53 years ago. Fitted with a tuned 1,498cc engine, the 1500 GT was the top specification model of the day, its zesty 78bhp sufficient to propel the svelte four-door to 95mph, with a 0-60 acceleration time of just 14 seconds… leaving the Morris Oxford of the day some five seconds in its wake. 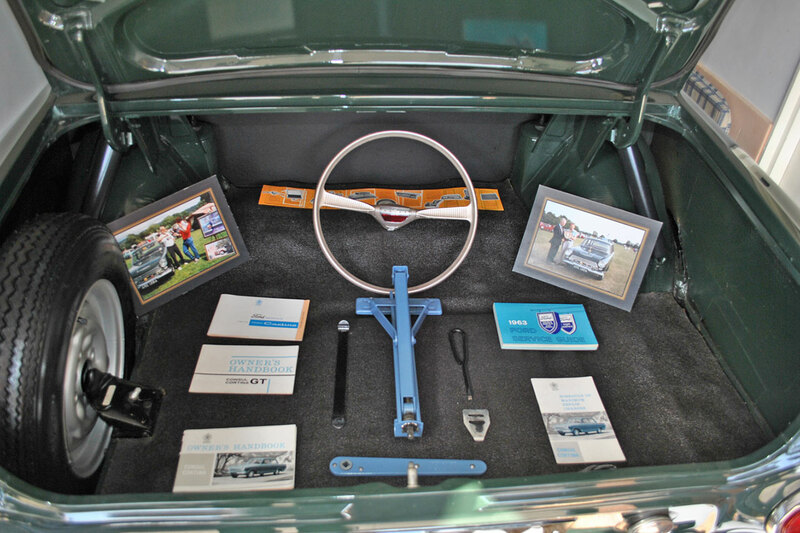 Despite its performance, when it appeared in the Ford showroom at a princely £748, this 1963 Cortina 1500 GT would have played second fiddle on the attention stakes to the fleet of Mk.I’s that starred in the saucy ‘Carry on Cabby’ film that screened at the time, helping to secure valuable awareness for Ford’s new model. 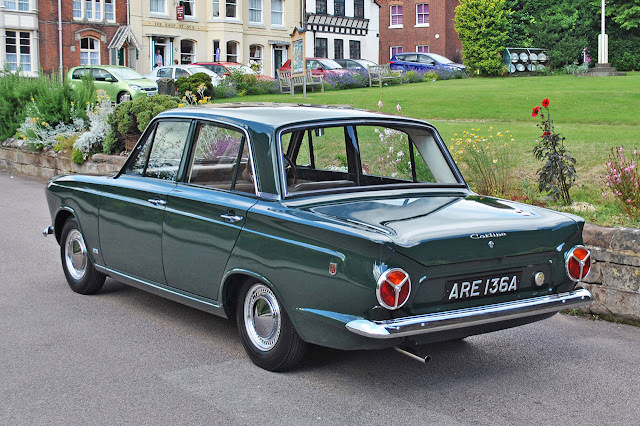 However, since it was first registered on 4th July 1963, the fastidious care and obsessive attention paid to it by its two owners – the last acquiring the car 27 years ago - makes this 19,244 warranted mile car arguably the finest and most original Mk.1 Cortina remaining today. This multiple concours* winner, ARE 163A, features superb Goodwood Green coachwork, and the interior is utterly as-new. 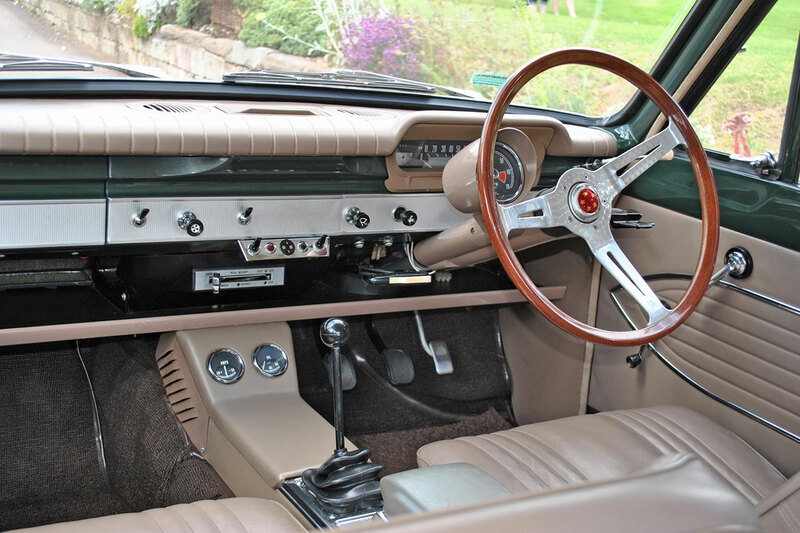 The dashboard, featuring the early strip speedometer and pod-mounted rev counter, has no age-related blemishes and the seating, trim and and original carpets are unmarked. Interested parties should note that the car is currently fitted with a period Les Leston Grand Prix steering wheel, and that the original is sold with the car. 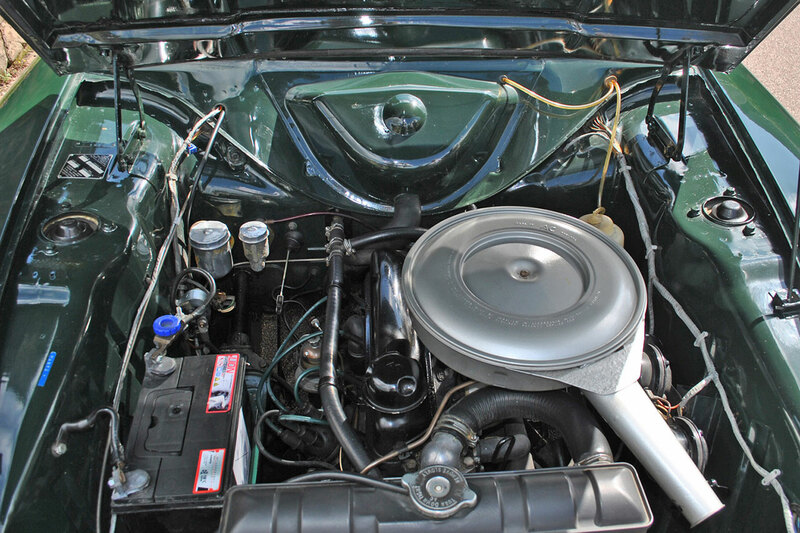 The scene under-bonnet is delightful and exactly as it should be, and ditto beneath the car, where the condition is as fine as topside, with the jack and tools - spotless and polished - all present and correct. The garage owner who has conducted the majority of the MoT tests has re-affirmed the car’s magnificent condition, adding that he recalled a time when the previous owner refused to drive the car home after the test as it was raining, choosing to walk instead. He collected the car three days later… when the roads were dry. 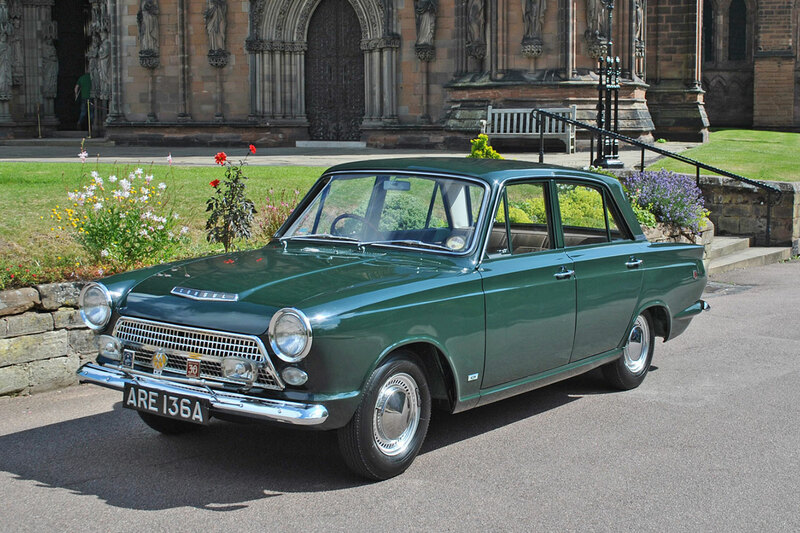 Very substantial interest at the estimate of £24,000-£28,000 is anticipated in acquiring this very rare, superb 1963 Ford Cortina 1500 GT in time-warp condition. It is one of the highlights of the sale of 140 fine classic motor cars and motorcycles, across a wide range of values, marques and eras, on Saturday, August 20th by Historics at Brooklands Museum, Surrey, where all consignments can be viewed on the Thursday and Friday prior. Full consignments and information are available to view at www.historics.co.uk, or contact Historics at Brooklands on 01753 639170, or email auctions@historics.co.uk.